As Predicted in my previous articles on the economy and especially the on 16% Vat , President Uhuru Kenyatta has gone the route of an economist and reduced tax on all fuels to 8% . In doing so he has delivered a blow to those who had schemes to reject his proposals on the Finance Bill that he returned to Parliament for review. The President went further to increase funding to the Judiciary that had cried fowl about the budget cuts that could have hampered their work. 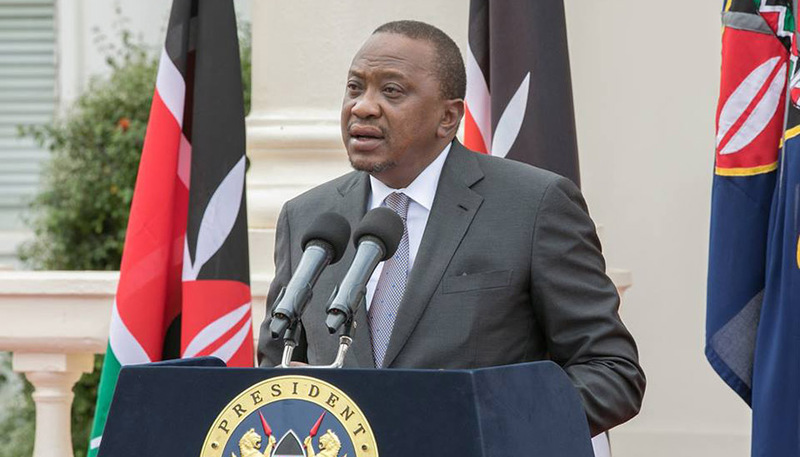 The President also increased funding to the investigative and prosecuting offices of DPP , DCI , NIS, Police and other agencies that track down thieves and corrupt officials . In his attempt to cut down overspending caused by “structural challenges” that kill most economies of most African and third world countries he restricted those who fleece the Treasury with too many travel errands that are unnecessary. ThanksMr. President for the above measures but before the cash is delivered to-already corrupt Judiciary without doing a “fatigue evaluation”exercise Which will weed out corrupt elements like DCJ Mwilu who became “Real Estate agents” instead of being a Judge . There is a need for a holistic approach in the the fight against wastage of resources in Government.The type of structure that increase wastage must be closed down completely. The amount of duplicity and the level of corruption in all Government parastatal s is sickening and it could torpedo the efforts of the Jubilee Government in building a better Kenya. Key issues run in my mind after this relief from the President on fuels and other aspects. One is the lack of “Social Contract” among Kenyans and to a larger extend Africans on the continent that makes it difficult to fight corruption. Secondly for a war on corruption to have success there is need to have some Pharaohs jailed for economic crimes that kill the efforts of the President and his Government. Jailing poets and jesters who surround the beasts and cartels is a step forward but not enough to send ripples in the bellies of The Pharaohs. The President should go further and remove the danger men who execute deals and supply air using the patronage of the system . My third worry is the question of “politics of enclaves” that litter the country of Kenya and frustrate the efforts of the government in addressing the needs of the citizens . The political Balkanization of Kenya is a worry to me . But all in all thanks President Uhuru Kenyatta for the reduction of VAT on fuels to 8%!and I hope one day Kenyans will wake up and hear the best news that Pharaohs and cartels have been rounded up .